We replaced the dated wood floors with clear Maple for a more modern and stylish look. 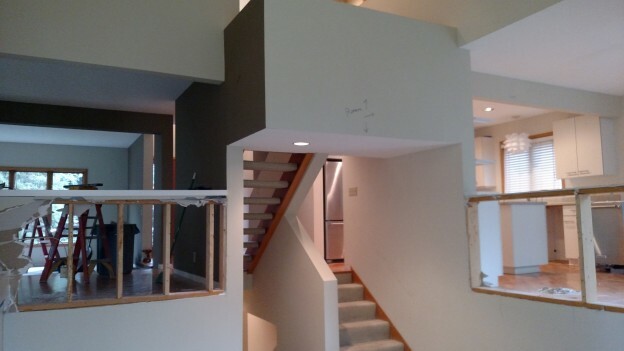 We removed the existing stairway and exchanged it with a gorgeous open stairway with Maple treads (featured in image). To capitalize on all of the wonderful natural light this home receives, we put in skylight in the entryway with new smooth and sleek ceilings to really add a fresh look. For improved curb appeal, we added a new front door with clear vertical grain Douglas Fir wood. We also put in a front custom gutter to update the home functionality. Finally we built in a brand new deck with ironwood decking and cable railings. This is the perfect way to enjoy your yard throughout all of the beautiful Minnesota seasons. The homeowners are really looking forward to utilizing this deck for years to come. We are thrilled to add another success story to our portfolio and to give another family access to the home of their dreams. We think this is the perfect way to kick off the holiday season by celebrating all of the hard work we are privileged to do for such incredible people everyday. Seasons greetings to you all! 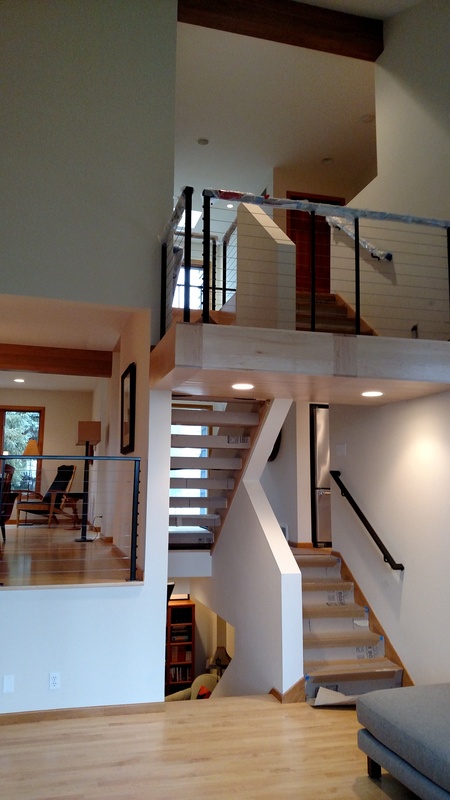 This entry was posted in Interior Remodel, Maintenance Tips and tagged Stairway on December 25, 2016 by Krista Boyum.